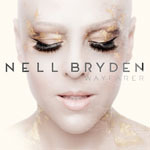 Share the post "Album review: NELL BRYDEN – Wayfarer"
It’s no surprise to read that the title track and lead single from Nell Bryden’s latest album has been play listed on Radio 2. It’s equally of little surprise that, back in 2008, we were right when we reviewed her ‘Second Time Around’ album and concluded that, despite mainstream media acclaim, her blend of retro 1950′s rockabilly, New Orleans jazz, and Patsy Cline era country and blues was unlikely to meet with major public appeal. Two albums have passed under the bridge since then – the jazz – blues inflected ‘What Does It Take’ (2009), and the Willie Nelson and Emmylou Harris influenced ‘Shake The Tree’ (2012) and, despite a suspicious level of BBC (and in particular) Radio 2 interviews, sessions and play listing, the Brooklyn-born American singer songwriter remains relatively unknown. But that could be about to change with Wayfarer which marks something of a departure. As Bryden herself says, ‘Wayfarer is a breakthrough for me. It’s so up-tempo, and my life is up-tempo right now. I feel very, very happy’. And whereas past albums have been reflective and introspective, Wayfarer is more light-hearted, upbeat and ‘poppy’ (in an adult orientated way). Combining the sensual percussive energy of Tango In The Night-era Fleetwood Mac (‘Wayfarer’) and electronic beats, for the most part Wayfarer looks no further back than the Eighties with hints of the likes of Spandau Ballet (‘Camouflage’) although ‘Soundtrack’ does throw a bit of rockabilly into the mix a la Imelda May. Vocally, Wayfarer falls between Annie Lennox (the sleeve even bears similarities with Lennox’s Bare) and Judie Tzuke, so it’s easy to see the Radio 2 ‘fit’. And rather uniquely, Wayfarer comes with a very welcome second disc featuring a stripped back acoustic version of the whole album. And depending on your mood, it may be that this ‘bonus’ disc will provide the deepest pool to drink from. This entry was posted in ALBUM REVIEWS, ALBUM REVIEWS (Mobile), All Posts and tagged album, Nell Bryden, pop, review, rock, singer, songwriter, Wayfarer. Bookmark the permalink.